I recently read an article in CLO titled, "Those who manage teach." It is a powerful statement and I completely agree with it. I have always believed that managers are the first line of teachers. Also, whether you know it or don't - whether you want to or not, every manager is a teacher. While many managers focus on the project goals: time and cost, some managers do something more - they also teach consciously. In my view, that's the difference between a good manager and a great manager. I gratefully acknowledge the contribution of my supervisors who taught me instead of just managing me and I am happy to say there were many! Well, to start off, managers are the first role models for any team member. A team member expects the manager to do what she says. If managers don't walk the talk, it is not correct to expect the same standards from the team. But that's just one aspect of being a good teacher. A manager works with her team on a daily basis. Learning opportunities are available in every meeting, every conversation and every project. So whether a manager realizes it or not, she is teaching in every interaction. To consciously teach, a manager has to plan for training and learning and take the responsibility for mentoring and coaching. However, in all this I realize that not all managers can be good teachers. And there is nothing wrong with that. But managers who are not good teachers still need to take the responsibility for team and individual learning and delegate this task to others who are more skilled in the area. But more importantly, after delegating, they must continue to take interest in their team's learning process. Managers should teach so that they are able to share their insights, best practices, failures and experiences. These learning points are far useful towards greater productivity and efficiency of the team than any technical or functional skills. Managers should teach to show their team that learning is work and work is learning. She needs to create opportunities for learning, should not be afraid to allow her team to make mistakes and should be genuinely interested in transferring knowledge and skills - and pack it all in everyday work. Managers should teach to develop a continuous learning culture and inspire and foster new ideas and innovation. Managers should teach to contribute to their own profession and help build better managers. Managers who teach are the best way to ensure that the profession is constantly recharged with fresh energy and a steady stream of budding managers is always on its way. As managers, we need to remember: when we teach, the greater learning is ours. It is ironic that all our life we focus on addition - adding more figures to our salary, adding more stuff to our homes, adding more of everything that we can. But most of our happiest moments happen when we 'have things' that money cannot buy for example being with people we love, exploring natural beauty and enjoying clean air and fresh water. There are significant examples in our own life, in the lives of many others, in business, and in design about the power of simplicity - the value of less. So, this post is about subtraction - it is about my own attempts to edit my life and hopefully inspire the same thinking in my readers. Here's a story about my tryst with subtraction. It is a simple story but it is my story. I have always been a heavy luggage variety when I travel. Recently, I had to travel for a week and my immediate tendency was to add everything to my luggage. However, this time around we (my spouse and I) added a constraint to the travel - no checked baggage. That constraint immediately forced me to think small and pack less. When packing, I focused on the essentials, packed for multi-use, and during the trip did some laundry. The luggage was much lesser but I didn't miss anything on my trip. Result was that there were no delays associated with waiting to pick up the luggage on both the legs of our journey and we were out of the airport, stress-free, in less than 30 minutes! Unexpected and so fulfilling. However, this first-time editing of luggage wasn't easy. My first instinct when I started to pack was still to add stuff. But then I stepped back and consciously removed and re-planned. They say all big changes have humble beginnings; it is true. This was a small step towards packing less for travel but it led to big leaps in my head about trying to get more with less. My efforts to do more with less continue. Here are some articles and talks that helped me get started. A wonderful talk by Graham Hill on why 'less is more' and how having less makes us more happy. Graham says we must edit ruthlessly, think small and make multifunctional. The article titled "Six Simple Rules For Doing Better With Less" talks about Matt May’s stimulating new book, The Laws of Subtraction, which offers six rules, and scores of examples, of doing better with less. A post on The Power of Subtraction that lists five laws of subtraction for business leaders. But the concepts apply to everything. I read this somewhere, “When things aren’t adding up in your life, start subtracting.” It cannot be said more simply than that. All one needs is some conscious focus and the willingness to let go. There are so many things we can subtract from our lives on a daily basis - ciaos and clutter, useless activities and meetings, unproductive conversations, negative thoughts and negative people, bad habits. The list is endless. We have the power to subtract to make life more meaningful. I have realized that I may not be able to let go of everything in my life but I am not longer afraid of making small changes because these do have big impacts. 'Design Thinking' is a mindset. It is an attitude towards design and the process of thinking about it. As per wikipedia, "Design Thinking refers to the methods and processes for investigating ill-defined problems, acquiring information, analyzing knowledge, and positing solutions in the design and planning fields. As a style of thinking, it is generally considered the ability to combine empathy for the context of a problem, creativity in the generation of insights and solutions, and rationality to analyze and fit solutions to the context." 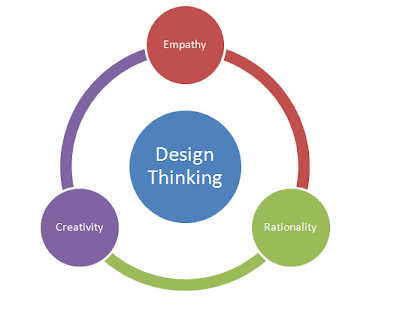 To me, the key words for design thinking are empathy, creativity and rationality. It is the balance of these three aspects that helps solve design problems. The design thinking process is based on a deep understanding of the audience needs and current challenges (empathy), ideation, thinking out-of-the-box and collaboration (creativity) and finally, experimentation & analytical thinking (rationality). The design thinking process has some suggested steps or phases. From Wikipedia: Herbert Simon, in the "Sciences of the Artificial" (MIT Press, 1969) has defined "design" as the "transformation of existing conditions into preferred ones" (p. 55). Design thinking is, then, always linked to an improved future. Unlike critical thinking, which is a process of analysis and is associated with the 'breaking down' of ideas, design thinking is a creative process based around the 'building up' of ideas. There are no judgments in design thinking. This eliminates the fear of failure and encourages maximum input and participation. Wild ideas are welcome, since these often lead to the most creative solutions. Everyone is a designer, and design thinking is a way to apply design methodologies to any of life's situations. Simon goes on to describe a seven step process: Define, Research, Ideate, Prototype, Choose, Implement, Learn. Whether the process has five, seven or eleven steps - the design thinking process can be discomforting especially if the individuals/teams are more comfortable with unambiguous and structured approaches. Creativity, imagination and ideation are the underlying themes and nothing is wrong until proven so by means of experimentation and validation. Experiencing the process is the best way to learn more about it. The concept of design thinking is not limited to the learning design/training community. More and more businesses and institutions have adopted this mindset with a hope to solve business challenges and be more competitive. http://www.unusualleading.com/wp-content/uploads/2009/12/HBR-on-Design-Thinking.pdf - Design Thinking by Tim Brown, CEO and president of IDEO - An excellent article published in HBR on how thinking like a designer can transform the way you develop products, services, processes—and even strategy. http://designthinkingforeducators.com/ - The Design Thinking Toolkit for Educators - This contains the process and methods of design, adapted specifically for the context of education. 1) The WHAT - what are we doing? Other questions to ask are what will be the desired outcome of this project? what are the key deliverables of the project?- It did take the facilitator to ask us this question atleast five times before we were able to articulate 'what we were doing in the project'. The answer to this question is not as simple as it seems especially when there are multiple people working on a project and even more stakeholders that matter. Everyone has to be aligned to the answer of this question. 2) The WHY - why are we doing this? why am I personally involved in this project? why am I driven to do this? - I really liked this question. It forced me to think about my personal reason to be involved in the project and how my work was going to make a difference. I think it is a very inspiring and motivating question to ask of everyone on the project team. It is also a question that can help get others onboarded to the project. The answer to this question is what will help you continue your good work on the project! 3) The WHO - who are concerned about this project? who are the key stakeholders who can impact? - These are some of the usual questions about the stakeholders of a project. But a good way to deal with the 'many' is to prioritize and focus on the top 5. Identify the stakeholders whose opinions really matter and who can critically impact the project positively or negatively. Bottom-line, you cannot make everyone happy all of the time. Identify the ones that you really want to make happy at the end of the project. 4) The WHICH - which risks will need to be considered? - the big question - risks. The first thing to remember is that we can't deal with all the risks and there are plenty in a project. If probability (x-axis) and impact (y-axis) are plotted from low to high in a 3X3 matrix, you certainly cannot focus on all the 9 quadrants. Pick 4-5 quadrants that truly matter. Focus on risks that have medium to high probability and medium to high impact. The thing about risks again is that you can't control everything in a project. But it is important to identify and discuss the risks that can be mitigated. 5) The WHEN - when do the activities need to happen? what comes first, what comes last? what are the control gates? when will the project be over? - The interesting bit about this question was that we started to think about the answer starting from the end. The facilitator encouraged us to envision and imagine that day when the project will be over and we will be congratulating each other for the success. We were to articulate that day and identify who was the key person congratulation everyone on the team success. Again, a powerful question. It helped us identify the most critical stakeholder (the driver) of the project and also align everyone to the 'final deliverable' - the end point. It is not uncommon to hear about big problems that have been caused by the lack of attention to details (ATD). An important document incorrectly sent to an unauthorized recipient because of a typo in the email address, a kitchen floor plan design not considering the size of the equipment that needs to eventually fit in the kitchen, a small distraction while driving leading to a fatal accident and loss of lives - these are some of the many examples around us. I believe that the grandest of tasks depend upon the success of the smallest elements. If small things do matter, what is the best way to pay attention to details? 1. Organize yourself and plan for everything including the small details. 2. Write down important things; don’t always rely on your memory. 3. Create checklists of items you need to look for in the final output. 4. 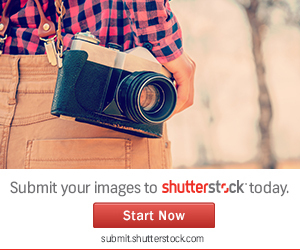 Take help from a colleague or friend for a review/double-check. 5. Don’t expect machines to be perfect; machines make mistakes all the time. 6. Don’t attempt to multi-task when doing critical jobs. Concentration is the key to details. 7. Observe and learn from others on how they focus on smaller things. Ask questions to learn how they do it. 8. Listen carefully and read slowly to absorb and digest everything. 9. Exercise your brain by indulging in brain teasers and games that focus on developing your ATD skills. 10.Paying attention to details doesn't come naturally; train yourself and others you work with. 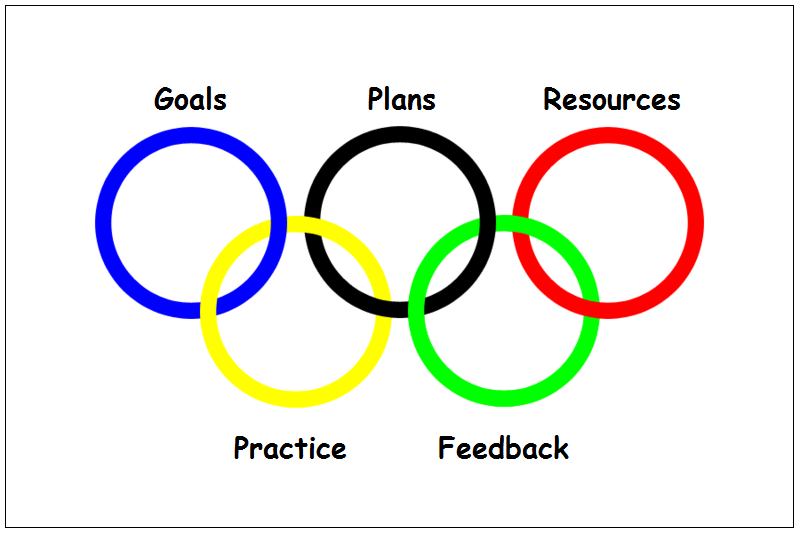 What Can the Olympics Teach Us? It is the Olympic season! The London Summer Olympics begins Friday, July 27, 2012, and ends Sunday, August 12, 2012. I am sure many of you are looking forward to catch your favorite players and world’s leading athletes compete in the most challenging games. There are so many magical moments that happen during Olympics - success and failures, laughter and tears, achievements and injuries. The Olympic motto is Citius, Altius, Fortius, a Latin expression meaning "Faster, Higher, Stronger". Goals: No Olympian won a gold without dreaming about it. If I could ask any competing athlete what their goal was - I bet it would be to win a gold. As training professionals and trainees we need to start with a goal. Not everyone wins a gold, but it is a good place to start planning. Plans: The intense planning for success, among other things, includes identifying our strengths and weakness and designing strategies to meet the goals by capitalizing on our strengths. It also involves gaining an understanding of things that can be controlled and accepting things that can't be controlled. Resources: Trainers, training opportunities, equipment and so much more. Behind every gold, there is a well-funded training infrastructure. The individual can't perform his/her best without this support. It is the foundation on which individual and team success is built. Practice: In the spirit of excellence, Olympics teach us about endless training and passionate practice. It is not always about the 'win'. Instead practice is about the commitment to be the best of what we can be and it is soaked with blood, sweat and passion. Feedback: Perhaps the biggest teacher of all - feedback. Feedback from the coaches and our failures. It is at the time of failure that we can provide (and obtain) the best guidance, inputs and feedback. Motivating feedback helps athletes pick themselves up from personal mistakes and disasters and use failure as the stepping stone to success. The Olympics teach so much about individual goals, team performance, perseverance, determination, pride and humility but more than that, they teach us about how to live the best life we can, how to commit to excellence and pursue our goals with endless passion. "It is by teaching that we teach ourselves, by relating that we observe, by affirming that we examine, by showing that we look, by writing that we think, by pumping that we draw water into the well." - Henri-Frederic Amiel (1821-81), Swiss philosopher, poet. Training is at the core of all our activities be it personal or professional. But good training is not a matter of coincidence, it is a matter of the right mix of knowledge, skills and attributes. So, what does it take to be a good trainer? Well, in short, it takes time and patience. For the long answer, there are some essentials to training. For example, all training is about communication so the rules of good communication apply to training. Similarly, good training is about robust instructional design and training delivery practices. An application of learning theories and principles helps in delivering good training. But beyond these theories, models and techniques - there are some specific personal skills and attributes that are worth a discussion. It is relatively easy to become a good trainer. This usually involves taking some formal education in training, getting certified and learning from your own experience. But in order to transition from good to great and to really embrace training and make an impact, you need to put in something extra! That's when you become a SUPER TRAINER! 1. Be knowledgeable: It is expected that as a trainer you know a lot about some things and be a subject matter expert in your area of specialization. But it is also important to know a little about many things. Having a wider view of life makes the difference between a good and a great trainer. 2. Be curious: The common trait of all good trainers is that they are always curious and wanting to learn. In addition, super trainers are not afraid of learning from their learners! 3. Be accepting: As a trainer, you are likely to have a wide variety of participants who don't always learn in the same ways or at the same speed. Accept and embrace the differences and leverage the opportunities presented by diversity. 4. Be patient: Practice makes perfect and for a trainer patience makes super. It takes a lot of patience to teach and train others. 5. Be a role model: It is one thing to teach someone and another thing to follow what you teach! A super trainer always walks the talk. You have to practice what you preach and become a role model for your trainees. 6. Be a good listener: Most training is about listening rather than talking. We have 2 ears and 1 mouth, not vice versa :) A super trainer is always ready to listen - sometimes even listen things that are not being said. 7. Be challenging: A super trainer has to provide ample opportunities for trainees to feel challenged. Life is never boring with a super trainer around. There is something new waiting to be discovered. 8. Be entertaining: When you are a super trainer, the show must go on. A good training always involves feelings and emotions. Humor and entertainment go a long way in making a memorable session. 9. Be passionate: All super trainers are passionate about their area of expertise and about teaching others. There is a certain degree of positive energy and aura around great trainers. Remember, only passionate trainers can create passionate learners. 10. Be inspiring: As a super trainer, you must aspire to inspire. Every conversation with your learners is an opportunity to train and impact others in a positive way. Seize that opportunity and inspire your learners to do the impossible. Recently, I participated in a #TrainChat on twitter on the topic: "What Angry Birds Can Teach Us About Instructional Design." The chat was interesting and insightful and some very good points were made about the impact of design elements such as simplicity, focus on skills and competencies, engagement, motivation and challenge. The chat came at a time when I was reading about 'gamification' and its impact on education and learning. Karl Kapp's book on “The Gamification of Training: Game-based Methods and Strategies for Learning and Instruction.” is out and I recently read the reviews by Clark Quinn and Jane Bozarth. I have also been visiting http://gamification.org/wiki/Gamification to study how gamification is impacting various industries and how it is quickly changing the trends in education and learning. So, it was the perfect time to reflect and blog about gamification and its role in learning. As per Wikipedia: Gamification is the use of game design techniques, game thinking and game mechanics to enhance non-game contexts. But I found a better definition on Dr. Camille's blog "the gamification of education is a relatively new approach to education that employs game play mechanics to creating a more engaging and playful learning experience. It works by using ideas from game design to encourage people to learn and complete tasks with more enthusiasm. Gamification can also provide the necessary external motivators for the important learning that must occur outside the classroom (Pearce, 2011)." Gamification is different from game-based learning. Gamification focuses on the design, techniques and the process of thinking and applying gaming principles in the design of training whereas game-based learning utilizes games to teach concepts and apply games in specific learning contexts with pre-defined outcomes. And why does gamification of learning matter? Games are powerful, addictive, immersive, engaging, challenging, social, competitive and fun - all the things we want learning to be. Therefore, there are many lessons to learn from games. The truth is that we have always learnt better using games. As toddlers and young children, we participated in role-play games at home and with our friends and played games with our teachers to identify shapes, numbers and colors. However, somewhere along the line, games stopped being a part of the classroom and other training methods. Perhaps one of the reasons could be that games and having fun is considered the opposite of learning and serious work. But when work and training becomes fun, it becomes closer to how we naturally learn – using stories, play and role-play. When we play games, we are able to apply existing skills, learn new skills, get feedback, learn from our mistakes, reflect and apply new skills – all in a matter of a few minutes! All desirable factors of a perfect learning environment are therefore engrained in the design of games. Game environments are active, real-time, hands-on, short-bursts of learning and that’s why people must play games. The questions that remain to be answered is what kind of game designs work best and how should gamification be integrated into learning, education and training and eventually the work environment. You can find a recap of the chat with @LnDDave on lessons for training pros from #AngryBirds here. Read more about the Kapp’s book and gamification here. - View a short interview with Brenda Enders who answers this question during the Learning Solutions Conference and Expo 2012 in Orlando, Florida. Karl Kapp views about why games matter http://learningcircuits.blogspot.ca/2012/01/what-is-gamification-and-why-it-matters.html. Dr. Camille Rutherford post that shares practical tips about how to gamify your classroom and discusses gamification of learning. Read how gamification is changing the face of the 21st century education and if you have time to spare, check out the speeches that were delivered at Penny Conference 2012 . Here’a another useful post by Kapp that lists examples of how gamification has been implemented. From a "Social Being" to "Being Social"
I have been thinking about this for a while and I see that I am not the only one pondering about this. The question on my mind: is social media making us anti-social? Is "being social" changing us from a "social being" to a not-so-social being? Social media is a new technology, a new platform to connect and communicate and requires new skills. But is it leading to the loss of some other critical skills (and values) that are required to be considered 'social'? Are we developing new skills and losing some that matter more? Are we now dependent on social applications like Twitter, Facebook and LinkedIn to connect with people and less likely to use opportunities for a face-to-face discussion? Are we now finding ourselves in more online relationships than face-to-face relationships? Are we finding and sharing our 'real-life' on the Internet? Where do we experience life as real? Are our connections getting weaker? Does quantity matter more than quality? Are we having the same level and depth in our interactions and conversations? Do we share real emotions or just using emoteicons? Are we closer to each other when we are miles apart or are we miles apart even when we are sitting next to each other? Are we socially isolated even with 1000+ 'friends' on facebook? Are we able to absorb and share deep thoughts using social media tools? Are we still able to write hand-written notes and letters without thinking how am I ever going to get through this? Are we able to read a long piece of information like a news article in a daily newspaper, from start to end? Are we reading as we used to or are we simply 'scanning' and 'sharing'? Are we struggling with our own morals and ethics in the online social environment? Are we becoming more impersonal as technology becomes more personal? Are we escaping eye contact and see more and more people with their eyes staring into their mobiles and ipads? 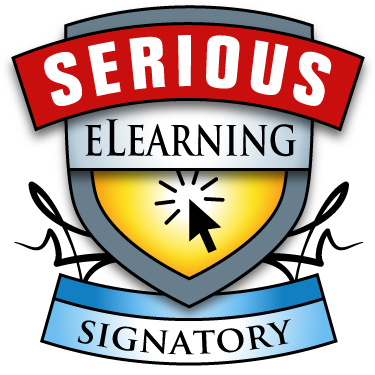 I am a strong supporter of social learning and social media tools have helped companies, instructional designers and learners travel paths of social learning that were a distant dream a few years ago. So, this post is by no means suggesting that social media is bad or undesirable. Social media is useful and important. However, as a society, we need to be aware of how we are changing and how to retain some of our skills and values that are timeless. The tools are too new for us to appreciate the long-term effects: good and bad. But it helps to be sensitive to the change. 5 Tips for Designing An Onboarding Program That Keeps Them On Board! The value of an onboarding or an induction program is far more than it is perceived. A good onboarding program helps new hires understand the organization and settle in quickly. More importantly, an onboarding program is instrumental in motivating and retaining new hires by helping them understand their role in the bigger picture. However, not only onboarding programs are able to meet these objectives. Some programs get caught up in a dump of information about the organization mission, vision and values and others expect new hires to be able to appreciate the details of their roles and daily tasks within a few hours. So, what is the right balance? This post focuses on my reflections based on my experience of designing, developing and delivering several onboarding programs for my last organization. These programs were designed and delivered for newcomers in the fields of Instructional Design and Training Development and varied from 2 weeks to 3 months. What should an onboarding program include that would make it a good program? What are the elements of an onboarding program that help new hires get comfortable in their jobs and become a productive participant of the team? What should an onboarding program have to help new hires continue to stay on board? 1) Keep it flexible: The role of planning in designing any training program cannot be overemphasised. However, planning takes an even more crucial role in the design of onboarding programs because new hires join the organization at various times during the year. The design and delivery of the onboarding program should be such that it allows a new hire to participate in a program within the first month of joining the organization. Any later, and they have already lost interest or have become totally confused by all that is going around them! Besides, it is possible that you may not always have the ideal sized group of 15-20 participants. Sometimes, your organization can hire conservatively and you may need to run the program for as few as 5 participants. Be ready and open for this and plan for multiple sessions with varying batch size. Envision your training model such that it supports multiple sessions through the year that can cater to both smaller and bigger batches. 2) Focus on the needs of the organization and the audience: There are so many things I’d like to tell new hires but do they really need to know all of it in the first month of joining? Ask this question to yourself when you are designing the content for the onboarding program. There are pressures from every division and department to include everything that can be possibly included. Steer away from any pressure and focus on your audience. There are some things a new hire NEEDS to know and most other information is a NICE to know. While it is important to ensure that organization needs are met in an onboarding program, be careful about including too many things that don’t matter or can be easily ‘taught’ using informal methods or by allowing and encouraging new hires to talk to their colleagues. Distinguish between what’s relevant to their immediate work life versus what’s good to know in their life at the organization. Ask questions around what’s important to know on the first day, during the first week, first month, first three months and first year to develop the content outline for the onboarding program. 3) Include teamwork within the onboarding program: We learn mostly using informal methods of learning such as conversations, social learning and learning based on our mistakes. However, most onboarding programs utilize only formal methods of learning such as classroom training by an instructor. Ensure that the onboarding program reflects real-life and how employees are expected to learn and work on-the-job. If you expect new hires to read, learn by practice, learn by talking to their colleagues and participating in team activities, then you must ensure that the onboarding program includes a blend of all such forms of learning. Most training content, if not all, provides an opportunity to learn in a team environment. Teamwork facilitates an interactive and informal platform that is sometimes crucial for learning. The learning styles that new hires utilize in the onboarding program will lay the foundation for the learning styles that are expected from them within their jobs. Using teamwork and a blended learning approach will help new hires become more responsible for their own learning and development and not rely only on formal training programs arranged by the HR or their manager to upgrade their skills. 4) Use a buddy or mentoring system: This is perhaps one of the most critical elements that helps new hires get comfortable in their job. New hires can be reserved and hesitant. They may fear that their questions may be silly and sometimes don’t ask questions. At these times, it is useful to have a buddy or a mentor who can empathise with the new hires and anticipate their feelings and emotions. The buddy or mentor can help and guide new hires without judging their questions and provide the right support and just-in-time feedback. Besides, talking to a buddy or a mentor is an opportunity to socialize, appreciate the organization culture and understand the finer aspects of organization policies and procedures. Hand-pick the buddies or mentors and choose people that like to help, share information and also have skills such as leadership and initiative. Match the buddies or mentors to new hires to ensure a long-lasting mentoring program. Ensure that the buddies or mentored are trained and understand their role and responsibility within the onboarding program and the ongoing success of the new hire. 5) Use feedback to improvise the program: The design of the onboarding program should allow for both formative and summative feedback and evaluation. Be sure to involve all stakeholders in this review and feedback process including new hires. Infact new hires are perhaps a better judge of what works and what doesn’t especially after they finish the onboarding program and get into real life. Plan for focus group meetings and post-training interviews that allow individual feedback sessions. Use these communication tools to obtain candid feedback about the areas covered in the program, the tools and techniques used to train and any gaps in the program. Focus your questions around whether new hires feel confident about the work, are their expectations and needs of their managers being met and do they feel they are a productive asset to the team. Sometimes, all you need is a sheet or two of FAQs to fill in the gaps. At other times, you may need to rethink the training design. Be open and flexible to the idea that feedback can change things. Trust that feedback is always for the betterment of the program. A good onboarding program is the first impression a new hire gets of your organization. It is an opportunity to reinforce their decision to join your organization. It is also an opportunity to help them extend their stay in your organization. Good onboarding programs help bridge the gaps between expectations and reality and help align the organization’s expectations with the skills and competencies of new hires. However, onboarding is not an event. It is an ongoing process where you are constantly helping employees get equipped with what’s relevant and required to help them succeed in their jobs. Spending time and energy designing, developing and delivering an effective onboarding program is an investment in both the new hire and the organization and the benefits are multi-fold.